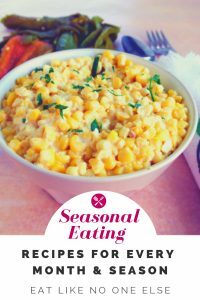 I am all about seasonal eating – it makes life more exciting. It is all about choosing to eat fruits and vegetables that are in season. There are many great advantages including eating the food with the best flavor for the cheapest prices. It’s also a way for us to support local growers by shopping at our farmer’s markets. 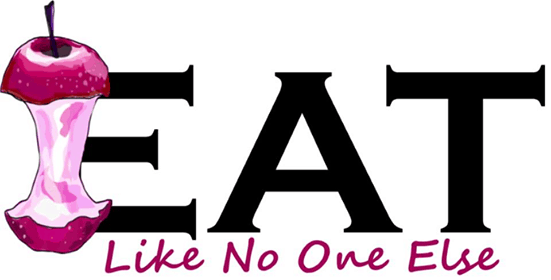 I want to make it easier for my readers to do so, by compiling all my information from the Eat Like No One Else blog for each season into an easy to read e-book format. 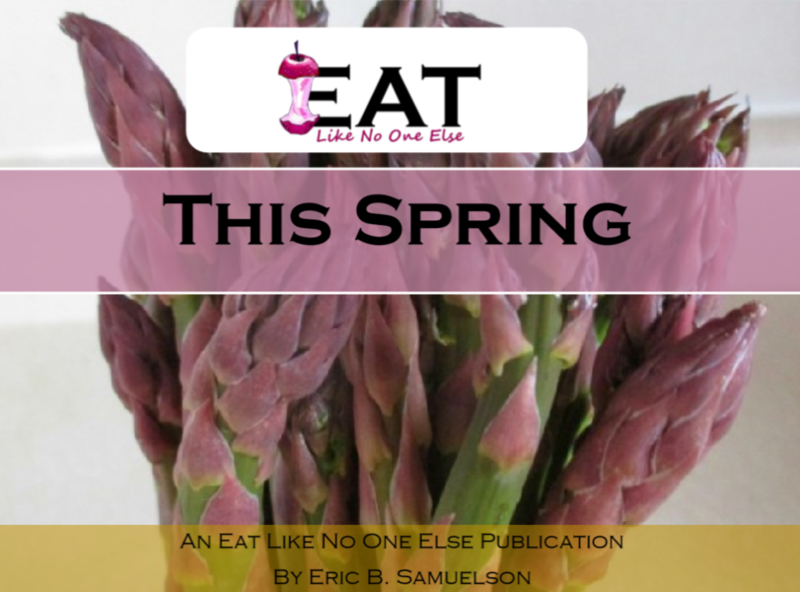 In 2018, on each first day of each season, I will be releasing a e-book with all the best information from Eat Like No One Else on that season. 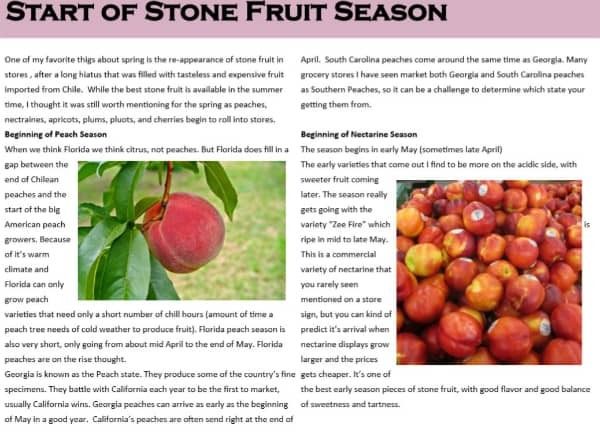 It will include information what month produce comes into season, recipes, shopping tips, storage tips, and more. Each year I wlll update the book with more goodies. 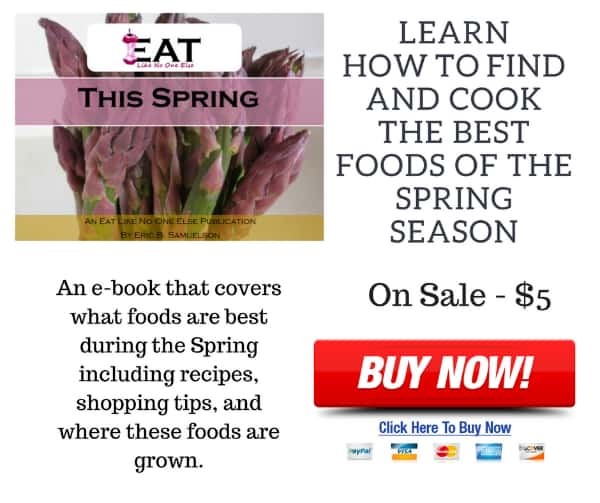 In this e-book, read about asparagus, strawberries, ramps, what imported apples are best, and more. 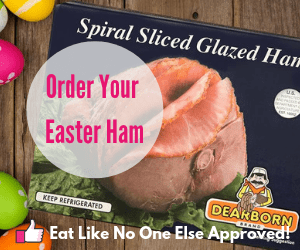 30 pages of great information and recipes. Now on SALE for only $5! Easy to read on your tablet, smart phone, or any device. 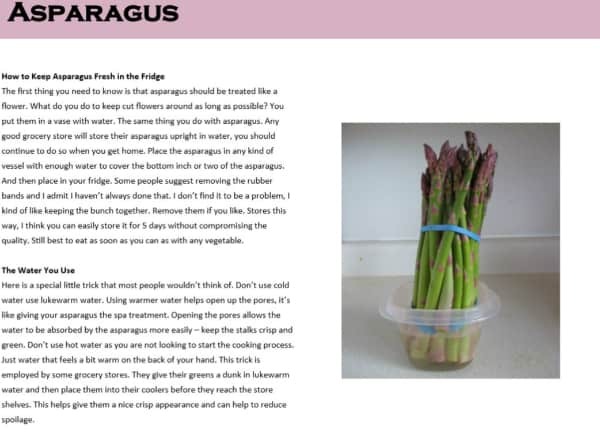 Everything you wanted to know about asparagus, when it comes into season, how to store it, other types of asparagus (white and purple). 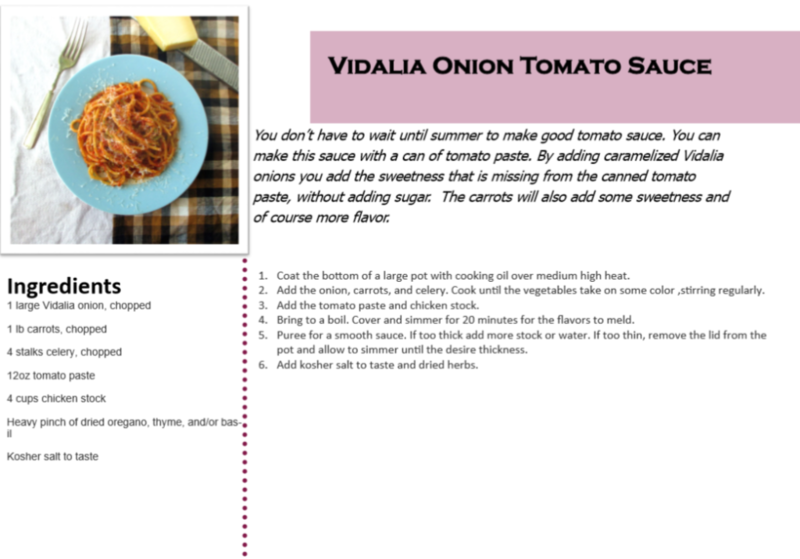 One of the recipes in my book shows you how to turn canned tomato paste into a delicious sauce using carmelized Vidalia onions. Check out my best of the best recipes featuring peas, asparagus, vidalia onions, ramps and strawberries. Find out what month produce comes into season and tips on how to shop for it to get the best, most flavorful fruits and vegetables. It doesn’t cost any money to sign up for my newsletter. Be updated throughout the year on what’s fresh, what’s good, what to buy in the store, and of course to be notified whenever a new e-book comes out.